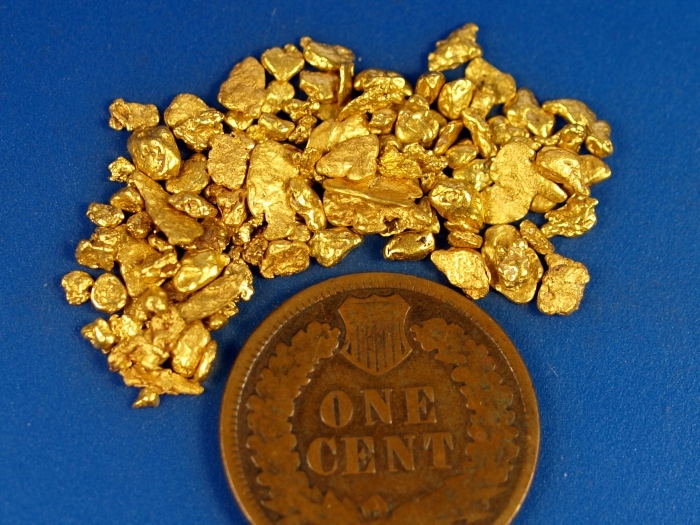 This is a nice lot of California placer gold from Shasta County, California. There is 5.72 grams total weight. Some nice quality gold to add to your collection. The penny is for size reference only. They will ship for free and include a nice display case.